The last couple of weeks I have been researching point and shoot cameras. I have spent a few hours looking on line and watching videos on you tube at all of the different cameras that are out there to buy. Should I get a mirror less, or one that has interchangeable lenses, canon, Nikon, fuji, and on and on. 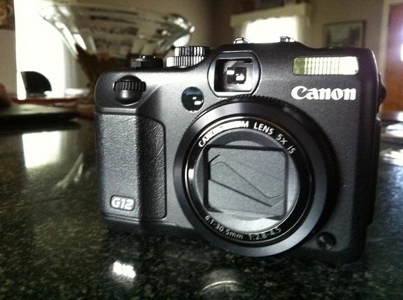 So my research was narrowed down to a canon G12-G11 or the new canon G1x. The G1x was canons newest camera in this market. It looks to be a really good walk around piece. It is a 14.3 MP with a CMOS sensor, and it also shoot 1080p HD video. The reviews say that this new beast is great in low light and shoots very good HD video. My problem with this camera was the $730 price point. Wow that seems like a lot of green backs for a point and shoot camera. I was looking for a small camera that I could take with me everywhere, and just shoot images of what ever I see to shoot. Hauling around my 50D or my beloved 7D everyday would stop me from shooting everyday. They are just to big to carry around with me, plus I would always be worried about them getting dropped stolen or what ever else could happen in a day. I will keep those two cameras for my events and commercial shoots that I book through out the year. I just want to shoot more pictures. I figure shooting more will help me improve on all levels of my photography. If its on a big DSLR or on a point and shoot, it is still capturing the light that is available. When we returned home I unboxed the canon for the first time to check out all all of the hidden controls under the hood. The camera felt really small in my hands compared to what I’m used to with my DSLR’s. The view finder is almost not usable, making it a must to use the 2.8inch LCD screen on the back. 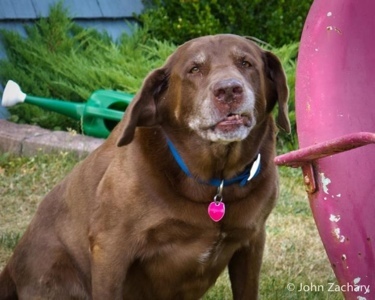 The first few shots I took with it were on AV mode of my dog Haas just to see what to expect. After that I went into the menu and set it up to shoot RAW. After setting the G12 up to what I thought I would like for settings I went out side and walked around and shot about twenty pics of different things around our yard. The feel of the camera took some getting used to but after a short time it felt good In my hand. It reminded me of my Minolta x700. After shooting around our house for a while I fired up my mac book pro and uploaded the images into Lightroom 3. I had no idea what to expect when they came into LR. As the first few started to show up I was presently surprised at what I was seeing. They looked really good right out of the camera. The white balance was good for midday sun and the colors seemed to be rich and vibrant. I made a few adjustments to a couple shots just to make them pop a little more. So I need to take this beast with me every day and see what I can do with it. Stay tuned for some images and a deeper review in a few weeks. Reblogged this on Just Shoot.